Geoff Johns and Peter J. Tomasi! And don't miss the exciting DC Comics debut of red hot cover artist David Finch (New Avengers, Ultimatum)! 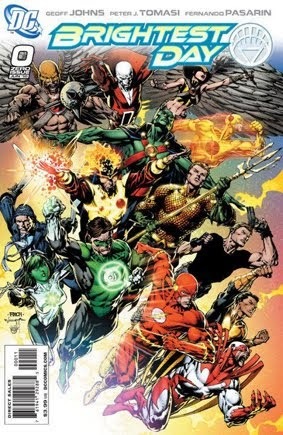 The effects that the already classic BLACKEST NIGHT will have on the DC Universe will be felt for years to come and this issue not only sets the stage for the new ongoing biweekly DC Universe book BRIGHTEST DAY, but also the next exciting era of the DC Universe! Written by GEOFF JOHNS and PETER J. TOMASI. Art by FERNANDO PA SARIN. Cover by DAVID FINCH.